A federal appeals attorney can challenge wrongful convictions and excessive sentences. A direct appeal of a federal conviction or sentencing begins with the filing of the notice of appeal by a qualified federal appeals attorney within two weeks of sentencing. The defendant, now called the “appellant,” must soon thereafter file a brief with the clerk of the U.S. Court of Appeals. This document explains to the court the procedural history of the case in the trial court, the relevant facts of the case, the legal and factual findings of the trial court, and, most importantly, the legal arguments justifying the request to reverse the sentencing. The government must then respond by filing an opposing brief and one further brief may be filed by each party responding to the other’s arguments. At this point, the briefs will be sent to a panel of three federal judges for their review. Occasionally lawyers for each side will be called for “oral argument” before the panel, but more often appeals are decided solely on the basis of the briefs. If either party is unsatisfied with the panel’s ruling—either affirming or reversing the conviction or sentence—it may file for reconsideration or rehearing by the entire Court of Appeals, which may consist of over a dozen judges. These hearings, however, are rarely granted. If motions for reconsideration or rehearing fail and the conviction still stands, two major options remain: filing a petition for a writ of certiorari with the U.S. Supreme Court, or filing a motion under 28 U.S.C. § 2255 challenging the conviction or sentence. A petition for a writ of certiorari is simply the document filed with the U.S. Supreme Court to ask it to hear a further appeal. A cert petition is a long shot at best because the Supreme Court hears very few cases every year, while receiving thousands of petitions. In order for a cert petition to succeed, it must convince at least four members of the Court that the case presents interesting and important legal questions, preferably questions about which the various U.S. Courts of Appeal disagree. Effective writing and comprehensive research are essential for a cert petition to succeed; claims of innocence will not move the Court, only careful and persuasive legal arguments. Normally a convicted defendant’s last chance for relief is by filing a 2255 motion challenging the conviction or sentence. This motion is a substitute for the more famous petition for a writ of habeas corpus, which still exists but has largely been supplanted by the 2255 motion for reasons of convenience. Unlike in a direct appeal, a 2255 motion is filed in the trial court where a defendant was convicted, not in an appellate court (though it may later be appealed there). On a 2255 motion, the convicting court considers arguments that fundamental errors occurred at trial, whether or not objections to those errors were raised at the time. These fundamental errors may include constitutional violations such as conviction under an unconstitutional law, denial of the right to effective assistance of counsel, or imposition of an illegal sentence. Notably, unlike on direct appeal, on a 2255 motion a defendant may present new evidence innocence that was not previously available. If the court is convinced that fundamental error has occurred, it can then take any number of actions including vacating a conviction or sentence and scheduling a new trial or new sentencing hearing. Successfully challenging convictions on appeal or in post-conviction proceedings requires different skills than for effective representation at trial and it is important to hire a federal appeals attorney with the experience necessary to both effectively argue complex legal issues and to navigate the procedural rules for appeals and post-conviction proceedings. Ideally, a defendant going to trial should contact an experienced appellate lawyer prior to trial and, at the very least, he should retain appellate counsel immediately after conviction to ensure that the strict federal filing deadlines are met. Our firm has extensive experience arguing before appellate courts both at the state and federal levels, including direct appeals, cert petitions, and 2255 motions to vacate, and we are prepared to fight for your rights and see that justice is done. The information provided above is a very general summary of the federal criminal appellate process at the time this text was prepared. Because this analysis is subject to change depending upon recent cases and legal developments, you should not rely on this summary as legal advice. 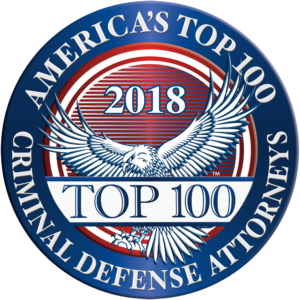 As with any important legal question, you should always consult a federal criminal lawyer licensed to practice in your jurisdiction. Our lawyers are licensed to practice in all state and federal courts in Georgia and have been admitted to practice in many other federal district courts.